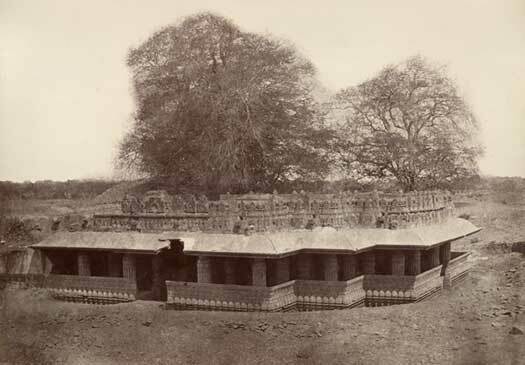 The Kadambas once ruled a large kingdom around Banavasi in the region of Uttara Kannada in India, but decline set in and by the sixth century the Kadambas had been eclipsed. Between then and the tenth century they were little more than local chiefs. Then the Kadamba dynasty of Hangal emerged as a vassal of the western Chalukyas, and a second line established itself at Goa and Konkan until the fourteenth century. More minor Kadamba branches also established petty kingdoms around the periphery of these two large, and at times powerful, kingdoms. The Kadambas of Bankapur were a minor branch who remained vassals. They probably served as regional governors for the Banavasi Kadambas, and then those of Hangal in their turn. Little is known of them other than a couple of names. Both brothers probably rule (administer) Bankapur conjointly. Both act under the overlordship of one Western Chalukya prince named Ganga Permanadi Vikramaditya Deva, shortly after the Chalukya have re-established themselves as a major power. The Kadambas of Bayalnad were another minor branch who remained vassals. They established an independent minor kingdom after the fall of the Western Gangas (at the hands of the Cholas). The founder, Kaviyammarasa, ruled towards the end of the tenth century. No information is available on the kings after Raviyammarassa for almost seventy years. In all probability they are defeated by the Cholas (under Rajaraja Chola?) and dispossessed of their kingdom. After the fall of the Cholas, the Kadambas reappear in Bayalnad. Probably the last independent ruler of Bayalnad. Mukanna is probably the last independent ruler of the Kadambas of Bayalnad. No information is available on any later Kadamba Bayalnad kings for centuries until the name of a vassal chieftain by the name of Immadi Kadamba Raya Vodeyayya appears (under the Sangama dynasty of the Vijayanagar empire of the fourteenth or fifteenth centuries). The Kadambas of Belur came to power during the decline of the Western Gangas sometime in the early eleventh century. They were said to be the ancestors of the Rajas of Coorg. Very little is known about them, mainly because they were too insignificant to be recorded in great detail. Whatever little is known is from the copper plate inscriptions. For the Belur Kadambas, as stated by author George Moraes of Kadamba Kula, there is no information/dates available about their later kings. Son. Acknowledged suzerainty of Chalukya king Vikramaditya VI. There are further rulers, but not much is known about them. In all probability, the kingdom falls under the suzerainty of the Hoysala dynasty (under Vinayaditya). The Kalinga Kadambas began as minor revenue officers of the Eastern Gangas but were later given large regions to administer. They ruled a small principality, Panchavishaya (a region of five districts) under the overlordship of the Ganga kings of Kalinga, and also had matrimonial relations with the Gangas. They were also known as the Khedis. The fate of the Kadambas of Kalinga is unknown. 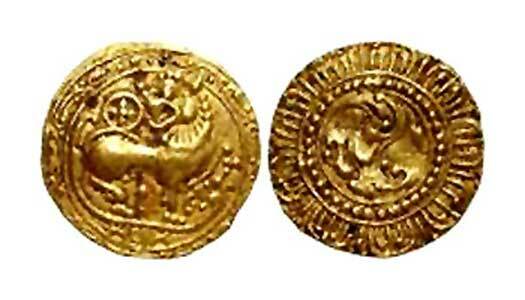 The Kadambas of Nagarkhanda were yet another minor branch who remained vassals and served as regional governors. Nagarkhanda is the district to the north-east of Banavasi. It is described as a country surrounded with leafy woods like the ring round the eyes of a girl, or is noted for its betel vines, and the fruit of its areca palms and orange trees in the inscriptions. The Kadambas of Nagarkhanda claimed to be the descendents of Mayuravama of Hangal, and titled themselves 'the boon lords of Banavasi-pura'. Their capital was at Bandhavapura and the family god was Shiva. During the first few years the Kadambas of Hangal refused to acknowledge the suzerainty of the Kalachuri kings, which led to a war between the two powers. This may be the reason the Kalachuris helped Soma-deva in declaring himself independent of his overlord. In an inscription of 1159 Soma-deva is mentioned as an immediate subordinate of the Kalachuris, so perhaps during the war the Kalachuris conquered the Banavasi province and handed it over to Soma-deva in 1165, as per the inscription. Bammarasa's relationship to the main branch of the Kadambas is confirmed by the records of his grandson, Soma-deva. He clearly enjoys having his own kingdom as the records describe him as 'the sole ruler of the world'. His wife, Kalala-devi, is described in the inscription as 'an abode of learning' and 'to her dependents a cow of plenty'. During his reign the Nagarkhanda Kadambas lose their independence. A record refers to Boppa-deva and his overlord, Taila II of the Hangal Kadamba dynasty, as his overlord. Soma-deva is the officer in charge of the Nagarkhanda Seventy under Madhukasara of the Hangal Kadamba kings. He soon frees himself from his overlord's control, probably with the help of the Kalachuris, and he transfers his allegiance to them. He defeats the Santara king, Jagadeva, the Gutta king Malla, and also imprisons a Changalva king. Boppa transfers his allegiance to the increasingly powerful Hoysalas under Vir Ballala II after they overthrow the Kalachuris. Brahma-bhupala is a vassal Hoysala king, Vir Ballala II according to the inscription of 1204. From the inscription of this year, it can be concluded that the Kadambas are deprived of their territories at about this point. The Hoysalas appoint a certain Malli-deva of the Kaysapa gotra as the governor of Nagarkhanda, and he makes the city of Bandhavapura his capital. A grant of about 1235 mentions a king named Kadambaraya who (probably) belongs to this dynasty. Son of Soyidevrasa of Bandalike. Local chieftain? Killed. There is a reference to a Madhukanna (son of Kadamba Soyidevrasa of Bandalike), his son Baicharasa, and son-in-law Surappa being slain in a battle. These individuals are probably the last of the Nagarkhanda Kadambas. The Kadambas of Uchchangi were only titular kings of Banavasi, as the real power lay with the Hangal Kadambas (who in turn were vassals of the Chalukyas). First recognisable king in this dynasty. Between these dates the kingdom is captured by the Pandyas (under Tribhuvanamalla Pandya). The Kadambas of Uchchcangi become their vassals. The Pandyas are eventually defeated by the Hoysalas, but after the death of the Hoysala king, Vishnuvardhana, the Pandyas (under Vijaya Pandya) reconquer the kingdom and once again make the Kadambas of Uchchangi their vassals. The Pandyas are again overthrown by Hoysala king, Vir Ballala II, consequently eclipsing the rule of their vassals, the Kadambas of Uchchangi.